Google's Matt Cutts has issued a warning over the use of paid content and advertorials. His warning comes as advertorials have become increasingly more common, with some companies illicitly using them as a way of boosting results on the Internet giant's Search Engine Results Pages (SERPs). Advertorials are in essence a piece of content written in the form of an impartial editorial, but with the ulterior motive of actually advertising the product in question, with the writer of the content actually paying for its publication. Google has a particular issue with this as often this type of content is not described as such by the writers responsible or the webmasters who put the advertorials on their site - in essence duping unsuspecting readers. Cutts said: "There's two fold things you should think about. The first is on the search engine side of things. Search engine wise you should make sure that if links are paid, that is, if money changed hands in order for a link to be placed on a website, that it should not flow PageRank; in essence, it shouldn't affect search engine rankings. "That's no different than the guidance we've had for many years and years and years." The evidence of a digital marketing campaign gone awry due to this strategy came in February this year when Interflora used keyword heavy content in an advertorial campaign. This was designed to give the UK flower site a boosting on the SERPs and both it, and many of the newspaper sites who published the content, were subsequently punished by Google as a result. While this form of content marketing is technically allowed, from an SEO perspective this is not the case, and it seems many are not following the rules properly, or choosing to skirt around them somewhat to their own advantage. This is something Cutts wanted to clarify in his latest video on YouTube. He continued: "Likewise, if you are doing disclosure, you need to make sure that it's clear to people. "So a good rule of thumb is there should be clear and conspicuous disclosure. It shouldn't be the case where people have to dig around buried in small print or have to click and look around a long time to find out, 'Oh, this content that I am reading was actually paid." 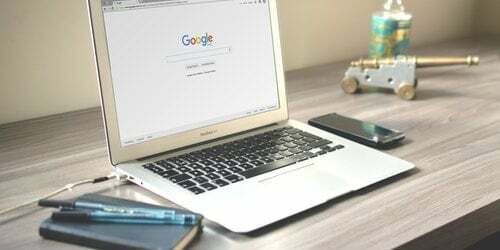 What Google is hoping digital marketing professionals take away from this latest advice from Matt Cutts then is one, advertorial content should have no bearing on search engine ranking, and two any promotional content is disclosed as such.